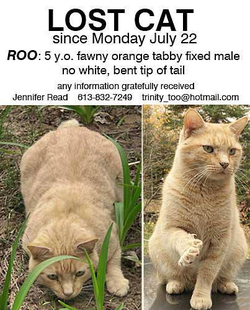 Tommy - Missing since May 9, 2018 from Barrhaven, Ontario. 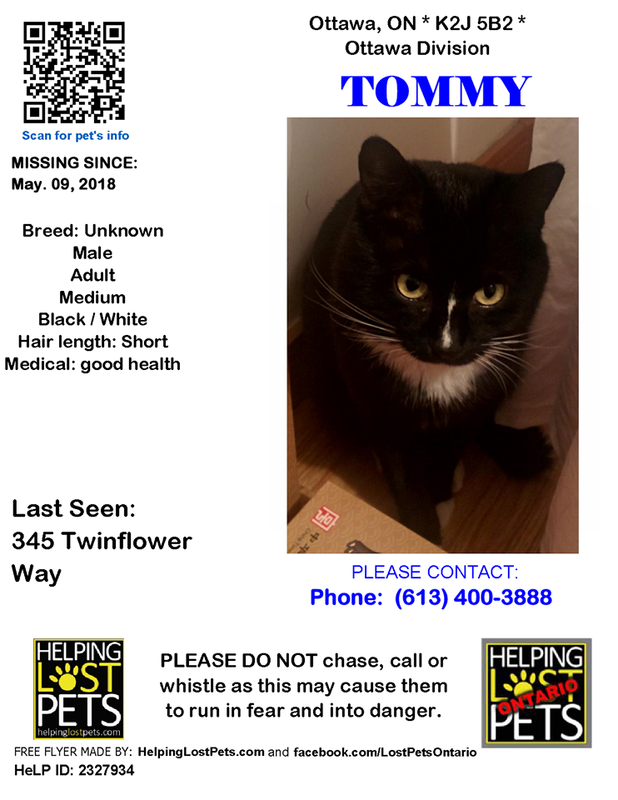 #LOSTCAT #Tommy #Ottawa (345 Twinflower Way) #ON K2J 5B2, #Lost #Cat 05-09-2018!, Male#Unknown Black / White/Tommy is a 5 years old male cat with black and white color, has a white mark on his nose, He gone to play around our house but did not go back. Lotus - Missing since August 8, 2017 from the New Edinburgh area of Ottawa, Ontario. Lost cat named Raven. She's 11 years old from Monahan Landing in Kanata. Please contact (613) 899-4828 if found. ***POSSIBLE SIGHTING - November 3 Vincent & Carss Avenue. 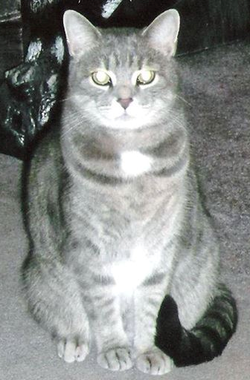 POSSIBLE SIGHTING - October 31 Beech Street between Florence and Jasper in Smiths Falls, ON. Possible sighting on October 24 on Broadview East and Florence. 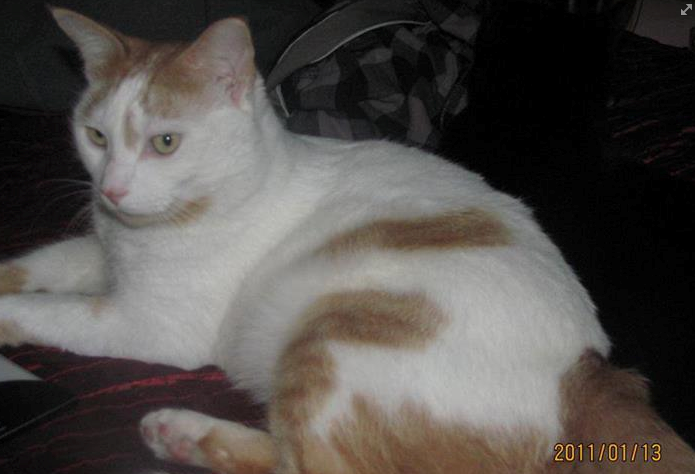 Rosie is missing from Broadview Ave East (near Lower Reach Park in Smiths Falls, Ontario. Her name is Rosie/Rosebud and is fairly large. She has an allergy and needs to have her medicine. If you find her, please call Karen Kosmas. 613-207-1625. Aren't I beautiful, with this yellow line running along my nose and my bushy tail? I know, it was funny to go outside my home boundaries for a while, but now it’s enough. I miss my home-made food, my parents’ hugs, my brush session, my chiro’s appointments, my toys and my garden. I feel alone and scared. It is just so hard and unpredictable to stay away with no familiar sounds and scents. I cannot stand it anymore. I know my family is worried sick as I have been missing for nearly one week. I cannot read the flyers they put everywhere, but I keep thinking that one will help me to be found and brought back home soon. Please double-check in every corner, and sheds, and garages as I am curious enough to visit one of them and stay stuck inside. Fact is that I won’t tell you I am inside because I don’t know how to miaow. Very rarely, I am making a weak and squeak vocal sound, but mostly I can open my mouth with no sound coming up. She is microchipped. Spayed Female TORTIE, 13 months old, not declawed. Named Shabane. AYLMER -- URGENT!!! PRENEZ LE TEMPS DE PARTAGER -- Il semblerait que Zoé aurait été vu sur la rue Lacasse et/ou les rues avoisinantes. Peut-être que quelqu'un l'abriterait et que la personne qui l'a accueilli n'est peut-être pas au courant de nos recherches. Si vous avez de l'information, SVP communiquez avec nous aux numéros indiqués sur l'affiche ci-dessous. / It seems that Zoe was seen on Lacasse street and/or neighbouring streets. Maybe someone is taking good care of her and perhaps this person is not aware we're looking for her. If you have any information, please communicate with us at the number listed below. 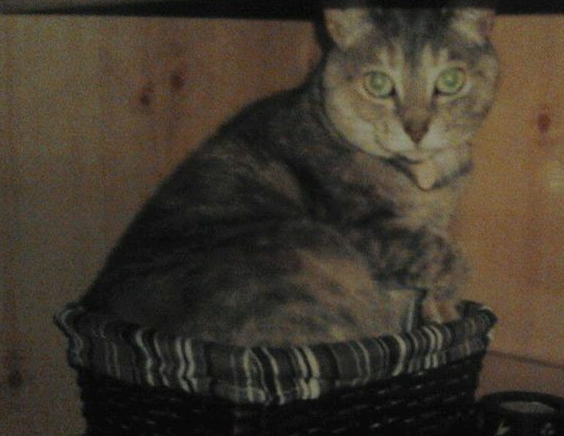 Hello, we lost our cat in Aylmer QC during the night of Wednesday to Thursday November 5. Near Caveau, McConnell, Samuel-Eddy and Wilfrid-Lavigne street. See attached picture, it's the cat on the left. This is Chile. 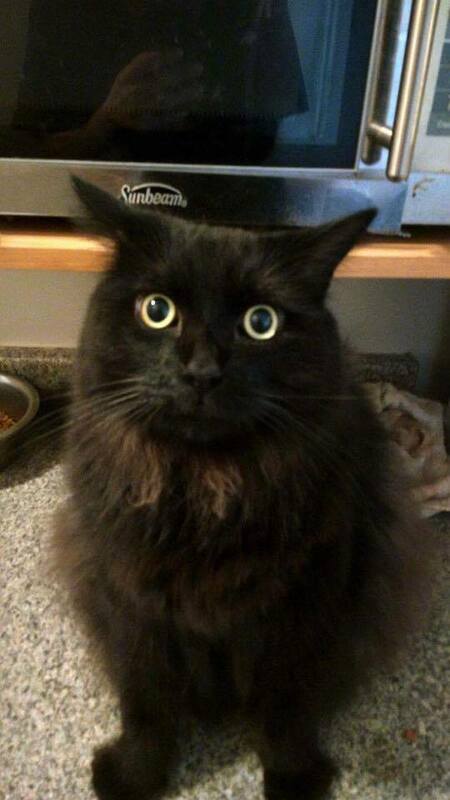 He is lost in Barrhaven from the Jockvale and Tartan area. He has been missing since the beginning of October 2015. If anyone sees him please call 613-795-6250 or 613-614-4746. He is dearly missed and has a loving family. Milly has not been seen since. She is 1 1/2 years old about 10 pounds. She has her collar and tags on and has been micro chipped. Please contact me at (613)281-4501. Thank you! 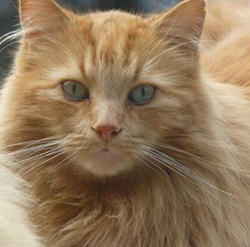 L​ost my marmalade cat named Boots his FB profile is Lucky Boots. Lost him Thursday October 1st. He's an indoor cat, neutered with 4 white paws including his chin, chest and belly are fully white. He wears a purple collar and is very friendly. He lives in Greely and escaped from his home which backs unto Bank Street or also known as Highway 31. I can be reached by cell at 613-240-7199, or at home at 613-821-0799. My cat has been missing since June 2015 and hasn't been seen ever since. We miss him very much. His name is Romeo, 2 years old male, brown, white and little gray. 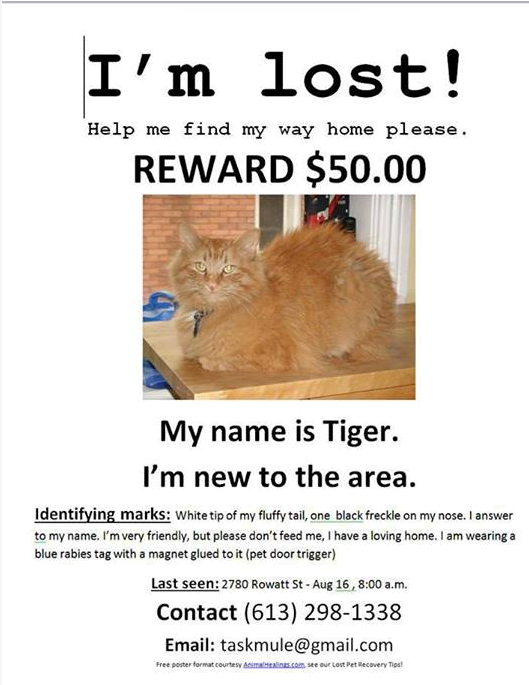 We live in Rockalnd, Ontario, leave a comment if you've seen him. Please help us find our kitty. Please share with friends and family. He's very friendly but might bite. 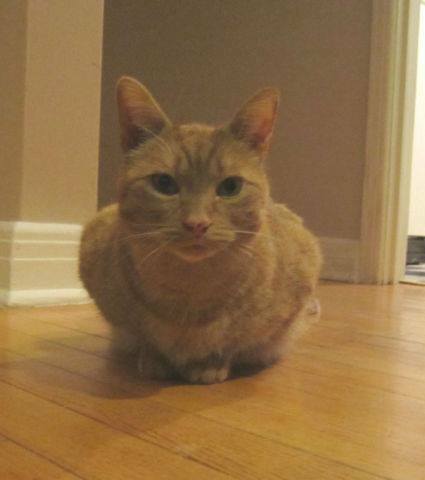 Small adult female cat missing from Alta Vista / Pleasant Park area, ginger tabby, no white markings, microchipped no collar, reward $200 offered. Lil'Girl, is a small black and white spayed female, wearing red collar. Basically an outdoor cat but rarely misses coming inside for a meal. Tended to stay around home but unusual for her to be gone this long. Please contact through this page should you see her. Thank you. 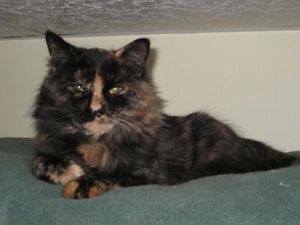 Sandy is a 2 year old spayed female. She went missing from MacKenzie Rd. Chesterville area. Her home is surrounded by dense bush which the owner has gone looking through every day. Flyers have been put in mail boxes, local vets & animal control have been contacted. Cat box, food & trail cam set up. **Update** Sandy has been spotted Aug. 25th. on Dunbar Rd. near Marcellus Rd. & possibly again Sept.1st. on Barkley Rd. She seems to be staying in the Elma area. She will not go to people, not even me at this point. Please live trap or get her into an enclosure, ie. garage, shed, etc. 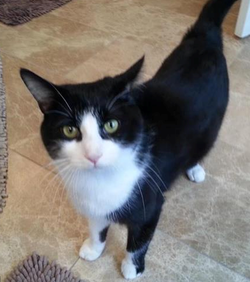 Angel is approximately 4 years old, spade and is very friendly. 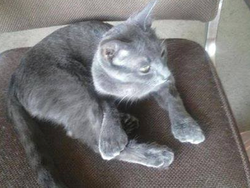 Grey with a little white on paws, chest and face. 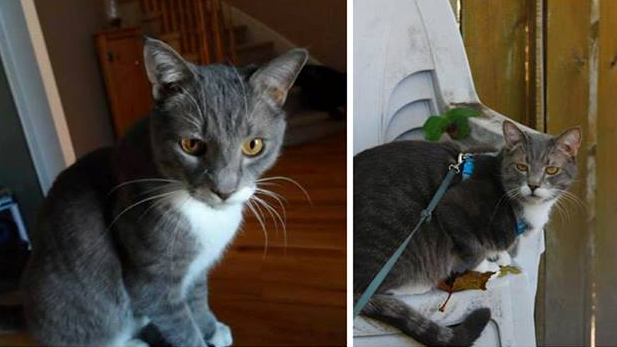 We live in North Gower and last seen was 2 weeks ago on McCordick Road. She usually hangs out with her male friend and he has come back and is calling her constantly. It is so sad to hear and see him, he truly misses her as much as we do. Any assistance at all would be so kind. Please help! My girlfriend and I were at the Costco gas station on Merivale and Hunt Club. I opened my door to get out and my cat ran for it. I managed to follow him across the street but lost him as he turned the corner into the industrial zone. We've been searching for 2 hours and are feeling more and more helpless as we go through this giant maze of an area full of perfect hiding spots for a kitty. His name is Tek. Any help would be greatly appreciated. Danny Owen / Karly Barber. 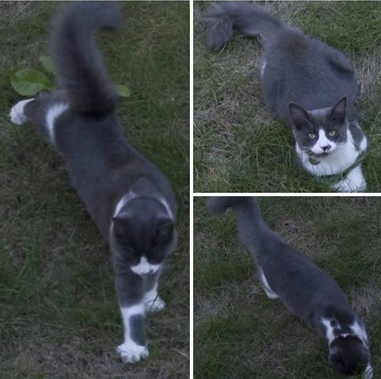 Missing young female cat, 2 years old, grey and white, disappeared from Aylmer in August 2013. Could have been relocated, including in the wilderness, or housed by a citizen who has not seen our posters... Very friendly and affectionate - but could have become scared. We love her very much and are very worried. Please help us find her! 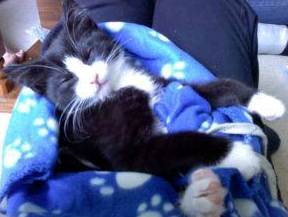 PLEASE NOTE: THE PHOTOS SHOW OUR CAT WHEN SHE WAS ONLY 6-8 MONTHS OLD. IF SHE HAS BEEN WELL FED, SHE COULD LOOK MORE CHUBBY AND HER FUR WOULD BE LONGER (MEDIUM OR MIXED LENGTH). IF SHE HAS BEEN ROAMING, SHE COULD BE QUITE SKINNY AND SHABBY LOOKING. "Lion" is still missing, Please help us find him. He is brown and grey tabby about three years old that we rescued back in April. 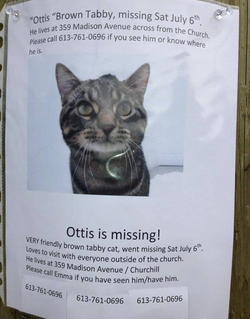 We were in the process of bringing back to good health when he disappeared from our place on Claude St (near Donald and St-Laurent in the East part of Ottawa) in May. 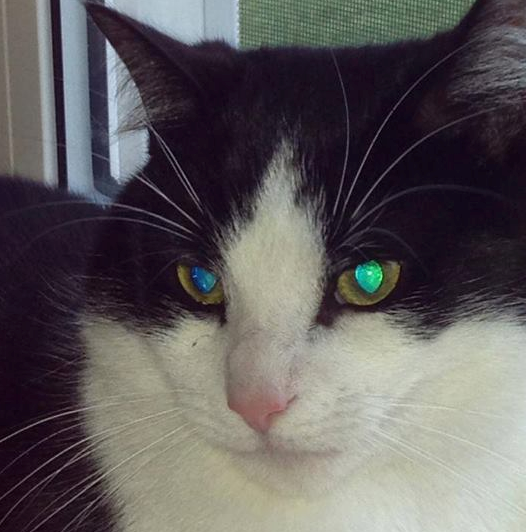 He has two PARTICULAR FEATURES: his left ear is droopy and his eyes are bluish green. We are offering a $100 reward for finding him. Thanks. — with Jn Dube at St Laurent & Donald St, Ottawa. Mittens went missing in the Findlay Creek area November 2012. He has one extra toe on each paw and was very large when we went missing. He is around 8 years old. We used to live on Walkley Road. His collar was ripped off when he was tried to stop leaving the house. — with Dawn Slater and David Slater. REWARD!!! STILL LOOKING for my LOST CAT. Last seen on Highway 2 East of Cornwall on Oct. 11, 2012. Grey/Brown Tabby (grey with black stripes), Short hair, Tan belly, Green eyes. Male (neutered), Microchipped. 13 lbs, 5 years old. Timid, afraid of strangers, but very sweet. An indoor cat that accidentally got out. Had just moved in the area, so he can't find his new home. Please help me find him! If you've seen him, email me and I will get in touch with you. Thanks. RECOMPENSE!!! Chat Perdu à Cornwall, Ontario le 11 octobre 2012. Gris tigré noir (tabby), ventre beige, yeux verts. Mâle (castré). Micropuce. Craintif envers les étrangers, mais très gentil. SVP aidez-moi à le trouver! Si vous l'avez vu, envoyez-moi un courriel et je communiquerai avec vous. Merci pour tout! 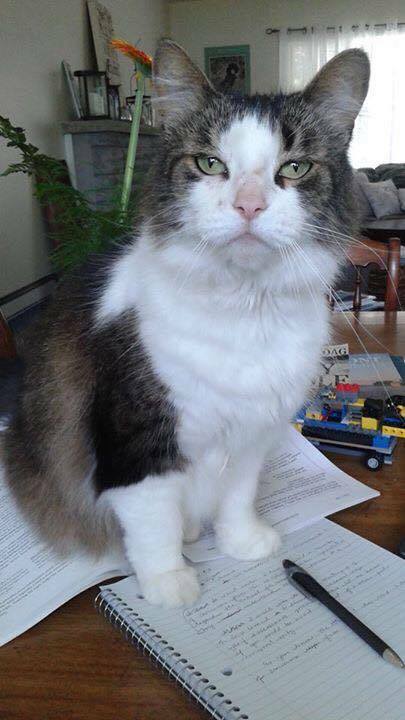 Brinly is a 2 year old (approx; he was a rescue) neutered male cat who has been missing since July 20th in Kemptville, Ontario. Last seen on Garrison Drive. 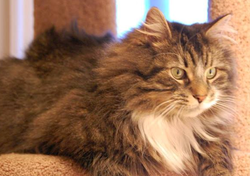 He has long hair with black, brown, and white tabby markings on him. Please help us bring him home and contact us with any information. 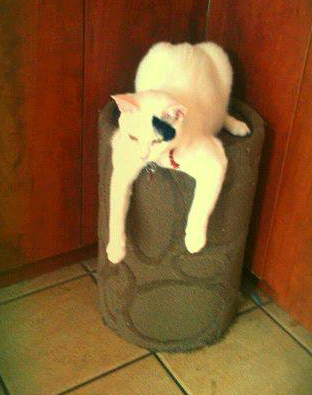 Alpine was last seen on Monday, July 22nd in our neighbourhood in Bridlewood, Kanata (Black Rivers Place. Surrounding streets are Bridle Park Drive, Stonemeadow, Bridgestone Drive, Foxhall Way, Windgate Cres.). He is an outdoor cat who always returns home. He is an all white with a tattoo on the inside of his right ear "TJ2277". We are offering a reward if he is found and returned. He is dearly missed and we want nothing more than to get him home safe. Please share. Please call Brooke Lalonde at (613) 809-5976 or (613) 854-5016. Sassy is1 year old grey female cat missing. She has a unique foot; 6 toes on each paw. I live at Robert Drive Apartment 14. Buzzer 14. Please contact Matthew Keler at 613-774-6367. Please click here to view Facebook comments. 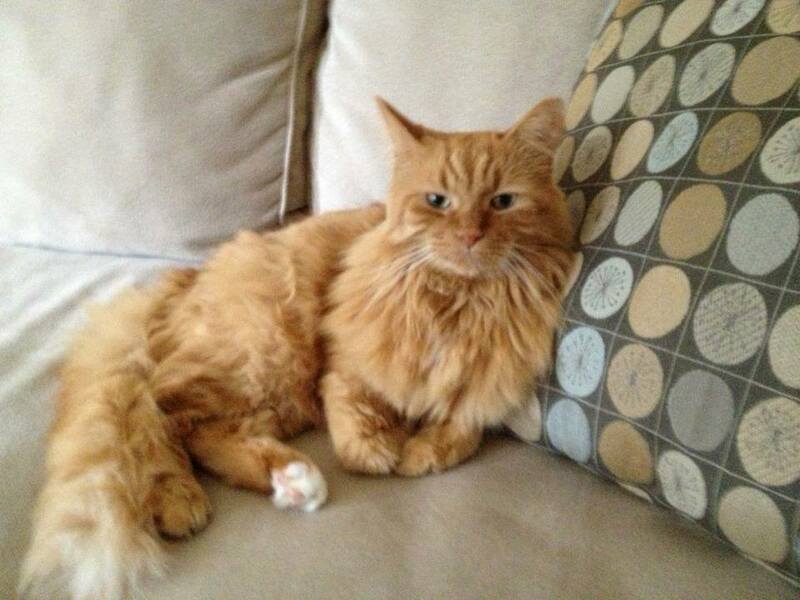 MUFFIN IS STILL LOST - From STITTSVILLE - Keep an eye out he is missed by his family. Lost in Stittsville. (Phase 4 of Jackson Trails). PLEASE HELP ME FIND MUFFIN! We are devastated. Please contact Marta Wozniak at 613-769-8790. 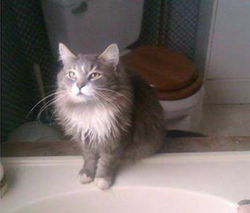 We are missing a med to long haired grey cat, neutered, named Jack. He has microchip. We miss him dearly. We are located Cedar Hill area Pakenham which is where he went missing. Any info please message me any time. I feel so lost without him...please help bring him home to his family. — from Jennifer Nicholas. 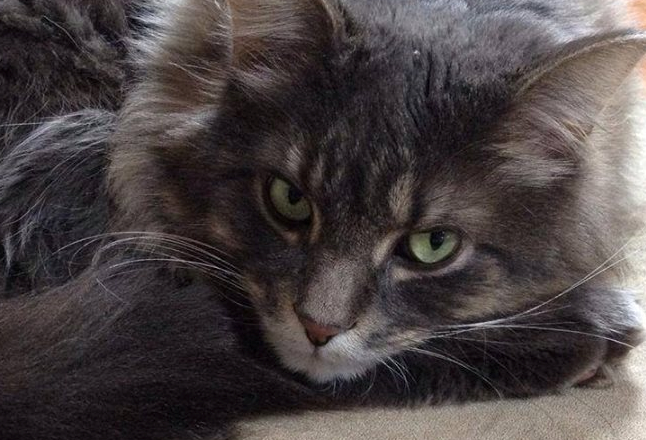 Max is STILL MISSING: BARRHAVEN AREA (Longfields - Mount Shannon streets). HE SHOULDN'T BE OUTSIDE. HE'S AN INDOOR CAT!!! We have been searching around the neighborhood and registered him at the humane society as lost but no luck yet. He is an indoor, dog friendly, declawed, boy. He is 4 years old and neutered. He has a white chest with all paws are white. We miss him so much and his doggie sister misses him too!! Please if you see him, or know someone who has him message me!! He is super friendly. He might have been seen around Claridge area a couple times - just behind Mother Theresa area. Please call Catherine Patterson and Emily Patt at 613-823-9180. Please help us find our boy Leifur! He is a brown short haired Tabby, friendly, but may be scared as he was out in the storm on Friday the 19th! We live on Stonebridge (Stonebridge which is a Golf Course community in Barrhaven). REWARD for his return! He was our first kid. Can't sleep! Help! Please contact Juliann Whitney at 613-869-2143. Big Boy is a grey and white, long hair 12 lbs. Very Laid Back. 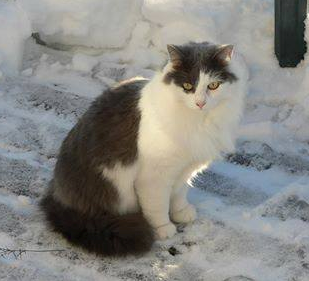 Missing from Blackcreek Road, rural Ottawa South a little north east of Metcalfe. Very concerned; any information is appreciated. Update August 14: No sign of him on the camera we put up at the last sighting. I guess he moved on. Several sightings, but they turned out to be other cats. I walked our local creek and river, but no luck. I hope someone can catch him and turn him in, because he's microchipped. Or, please, please, find your way home! Please contact Ellen or Eric at 613-821-4586 or CELL at 613-410-1482. Gismo is a grey, long haired cat, and very friendly. He is microchipped, declawed, and neutered. Gismo is 8 years old. He went missing from the Prince of Whales and Crest Way area. Please help me find my boy! Please contact Kira Carroll at 613-440-1077. Casper is missed so dearly and we are praying for his safe return. 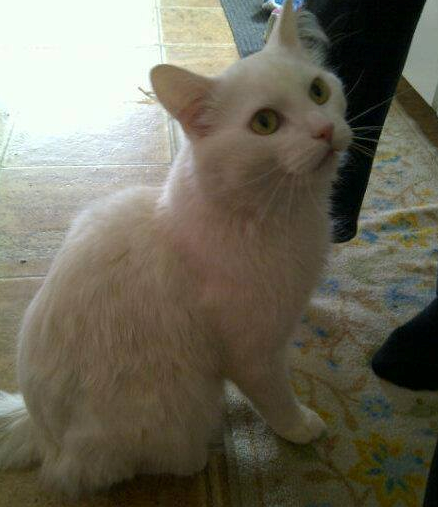 He is a pure white, cat that is not neutered and was wearing a cheetah print collar with a little green bell. Thanks for sharing! Please call Ashley Miles at 613-504-2883. I'm not giving up. Jynx still hasn't come home, but I'll keep looking for him. I'm offering a reward. 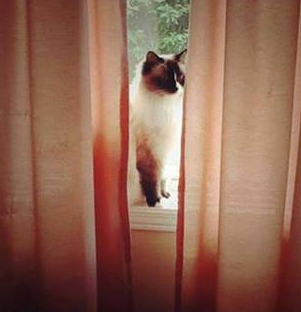 Jynx went missing from Meadowbrook and Foxwell. He is not wearing his collar, as he just got out of the bath. He is not supposed to be outside. He's got a light grey spot behind one ear and a tumor in his neck that required surgery, as it causes him to be over-weight (18 pounds). He also answers to the nickname Roodle Doodle. I've papered my neighborhood bi-weekly since he left, with no luck. Please contact Thia Perry-Cray at 613-422-3299. 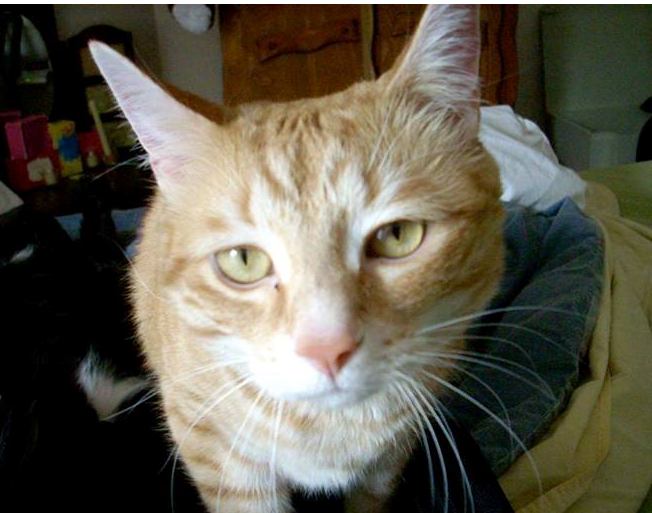 Carter has been missing in the area of Fisher & Merrivale near the Experimental Farm since June 18th. 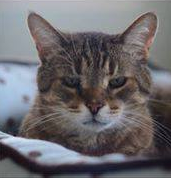 He is microchipped so if you find this handsome guy please take him to your nearest vet clinic or the Ottawa Humane Society for verification of his identity. We miss him very, very much! — with Andi White and Graham Thatcher. 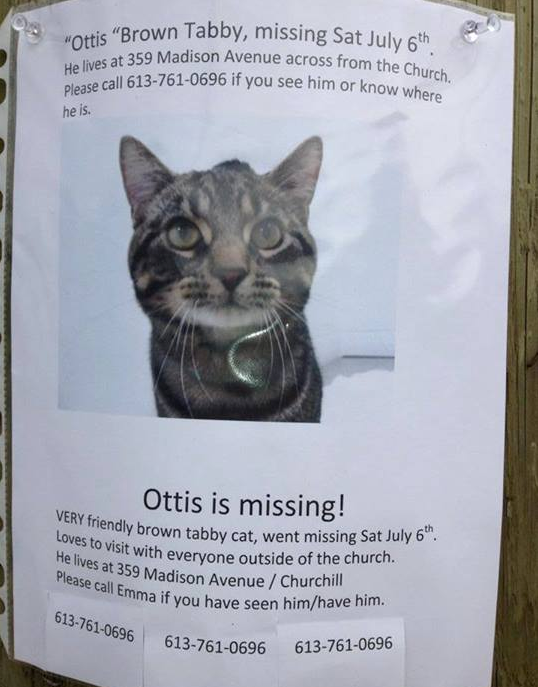 Ottis is a brown tabby, very friendly. Loves to visit with everyone outside of the church. 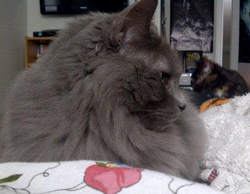 Smokey (grey cat in the background) has been missing since mid-May from the Bayshore area in Ottawa. He is a 5-yr old male neutered grey tabby. Smokey is a stocky cat, very lovable. Our cat "Julio" is still missing. Can you please share his picture and description and help bring our fur baby home!!! Julio- 1 year old, short hair male, white with a black tail and black patches, he is neutered and has a red collar. Was last seen off Montee Paiement in Gatineau. Please contact mandamoon_brianaleclair@hotmail.com or call 819-598-0639. 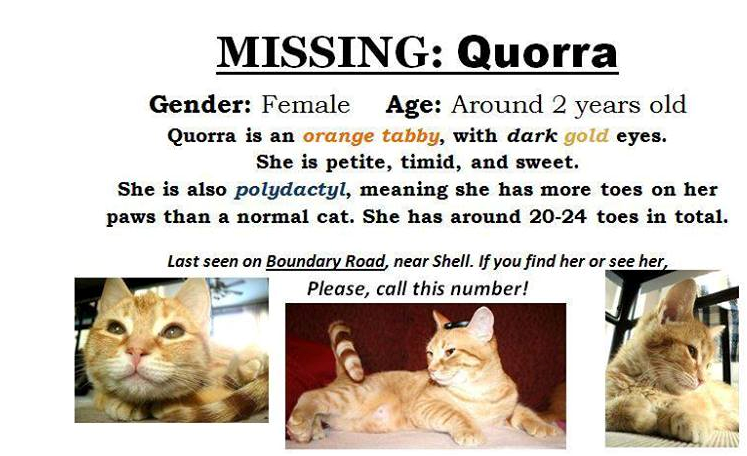 Quorra is around two years old. She is a small orange tabby with gold eyes. She is shy, sweet and has a family who loves her dearly. If you DO see her, please help and bring her home. She was last seen near Credit Union on Boundary Road. — from Elisabeth J. Deruchie. Donny is a male, no collar, long hair, smokey grey all over. Loki has been missing since since March 19th, 2012 and therefore could have travelled quite far. He is a 3 year old male neutered black and white tuxedo. He is also microchipped. He went missing from Downpatrick/ Huntclub area. If you know someone who has taken in a cat that resembles our boy can you please show them this post or any of our other ads (kijiji, lost pet network, etc). Please help us bring him home! 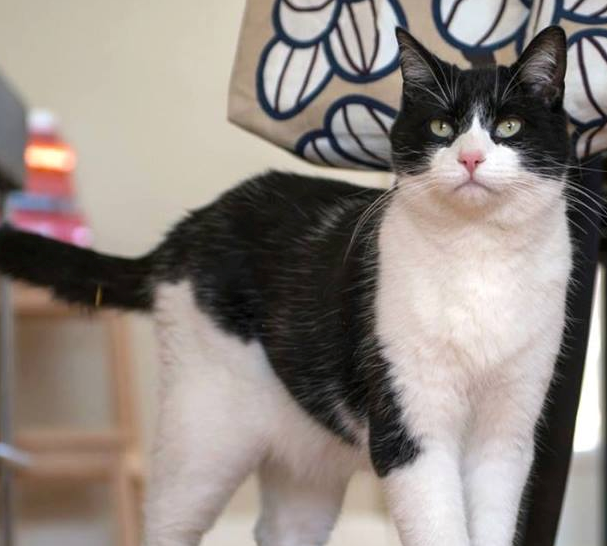 My name is KIT KAT - I'm a 20lbs, gray & white, 9 yr old neutered male cat. I'm a gentle giant & very friendly but I'm scared, hungry & very cold right now!! I JUST WANNA GO HOME - PLEASE HELP ME!! I live at Bank/Conroy @ Lynch next to Capital Golf near the Giant Tiger. My owners are worried sick & need your help too!! They've put out over 140 flyers & visit the Humane Society every Wednesday & Saturday's but no one has brought me in, so I can't find my family. I know my mommy is still crying for me every night - we're BFF! I miss her so much!!! 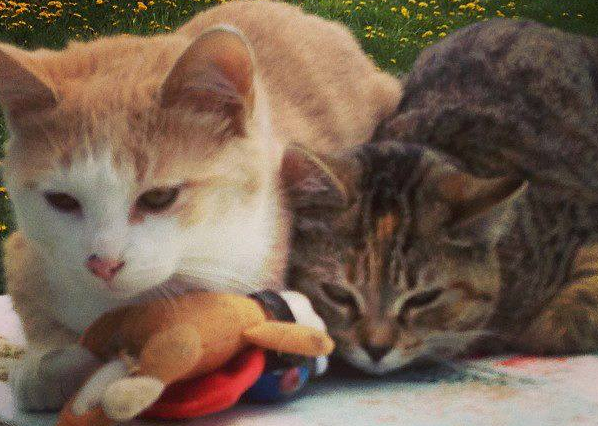 2 CATS MISSING IN CUMBERLAND. Gaston (orange and white) and Penny (tabby with orange on top of her head) are two 5 month old kittens. 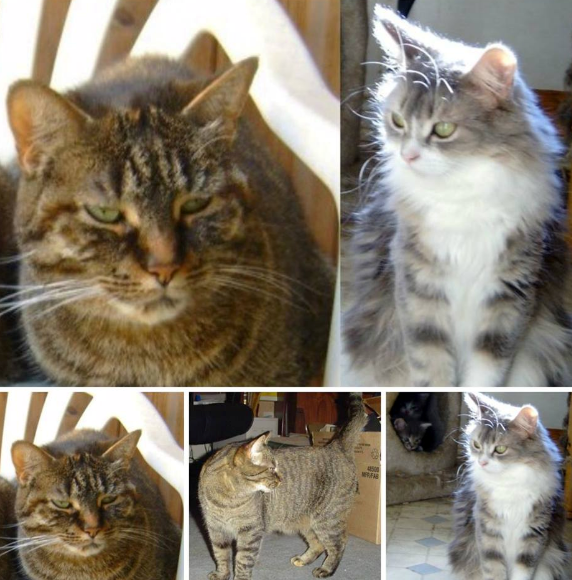 They went missing from Frank Kenny road in Cumberland ON. (halfway between Old Montreal Rd and Inness). Penny is fixed but Gaston is not. They are barn cats. We let them out during the day to hunt and they would come inside for the night. A few weeks ago the orange and white kitten (Gaston) went out in the morning and never came back. 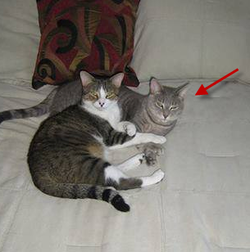 On Monday, August 5th, Penny (tabby) went missing also. They may have been attacked by a hawk or coyotes. Thunder, 10 year old, neutered male, medium/long-haired all orange cat (light tip on tail). No chip, no collar, no tattoo. Please check garages and sheds he may have entered and gotten trapped. The only other time he has been missing he'd gotten closed in ...somewhere. He's a bit shy around people, but when he gets to know you, he's a cuddler. He and his brother Lightning develop manes and are very furry in winter, but lose their manes and are less furry in summer. I'm also reasonably certain that he is closed in somewhere and can't get out, so am calling and listening at garages and sheds and empty homes and cottages (if no one is home and I can't get in to check). Crown Point is upriver from Constance Bay, Buckhams Bay and Bairds Grant and downriver from Fitzroy Harbour. It is at the north end of Dunrobin Road, on the Ottawa River. Update August 17: Thunder is still missing (now 4 weeks). 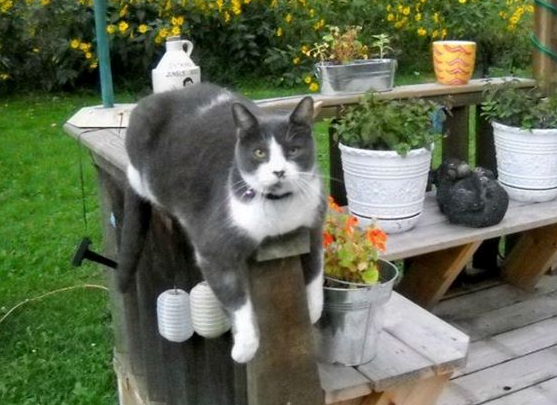 He's a big healthy boy who is used to the outdoors and has lived in this area (north end of Dunrobin Road, upriver from Constance Bay) all his 10 years, I am hopeful that he is still out there. I've delivered notices to all my neighbours within several miles, however, there have been no sightings, which is discouraging. Contact Jackie Scott at 613-832-4278. 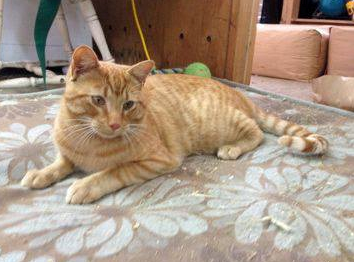 Finn is about 1 year old and is neutered male. He is very timid and is missed very much! Please call 613-489-0807 from Cathy McAllister. 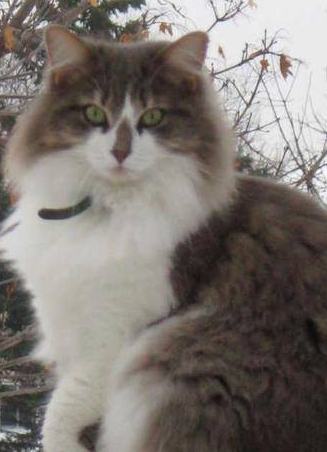 Hi, I have a missing cat in Spencerville. 1 year old male black and white cat. Name is Waldo and his dearly missed. Where's Waldo? — from Anna Michaud. Coco is 11yrs old. She's skinny but very furry long haired Tabby, spayed female with claws. She responds to her name by meowing. Her back feels boney and she meows a lot. She is microchipped but not wearing a collar. She needs to be found as soon as possible. Please help me find my much loved cat ASAP! We love her so much and want to know what has become of her. Email babynanlou@swiftel.ca or call 613-862-0046. Please contact taskmule@gmail.com or call 613-298-1338. Roo, fawn ginger male, 8 years old. Microchipped. Bent tip to tail, no white, small to midsized. Freckles on nose. Light yellow eyes. Reward offered. Contact Jennifer Read - trinity_too@hotmail.com; 613-832-7249. 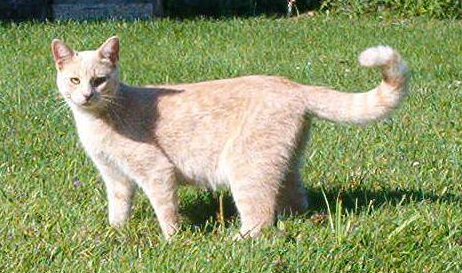 “Dakota” is a grey tiger tabby with a long smooth raccoon looking tail. She is 10 years old, does not like other pets. She is skittish and may be hiding. She is spayed, has her shots, but is now due. No tags, collar or microchip. She will meow for attention or for food, (but does not liked to be picked up). Dakota has a “Lost Report” filed at the Ottawa Humane Society and LAWS in Smiths Falls. Charlie is a grey and white domestic longhaired cat. He escaped my parents place in Alfred in April of 2010. They were babysitting him while we were out of town. We live in Orleans. We hope he is trying to get home and could be anywhere between Alfred and Orleans. Please contact us! — from Karin Rylander. We lost our cat PEKOE. We move here not so long ago and we did not have time to put a collar/tag name. He ran off and did not come back He is a part of our family since 2006. He is orange and white. He has 6 toes and no claws at the front. He is a really nice cat. Montana has been missing since August 23rd! She is very much missed by her family. 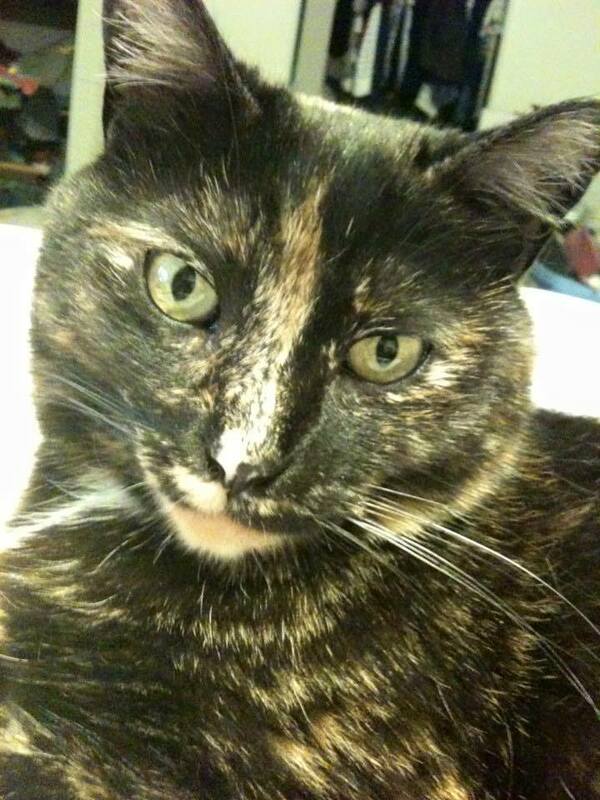 September 30th - Possible sighting from her owner Chantelle Legree-Pinsent: I was driving home late tonight and saw a cat that looked like my girl, Montana, only it was on the 417 westbound between Kinburn and Galetta sideroad just before marker 172....is this possible it could've been my baby??? It looked so much like her even down to the way she walked....I stopped abruptly but must have scared her. Went back and look for a while but couldn't find her. My heart is still breaking from driving away. Please contact Chantelle Legree-Pinsent, or call 613 623 4848, cell: 613 324 0624. Sophie and Nina escaped from an apartment building in May 2010 on rue des Prés near Saint-Raymond and des Grives in Hull. They're indoor/outdoor cats, but were not familiar with the neighbourhood. Sophie has green eyes, a rusty orange spot on the top of her head and peachy toes on her rear right paw. She's 14yo, and has been spayed and microchipped. I also lost my cat Nina in the same location. She's a tiny ragamuffin mix with a blue-grey and white coat. be anywhere in the region or still in that neighbourhood wondering when their mommy is coming. and she has a microchip. We miss her dearly. Please keep a look out for her and help us bring her back home. Many thanks!! 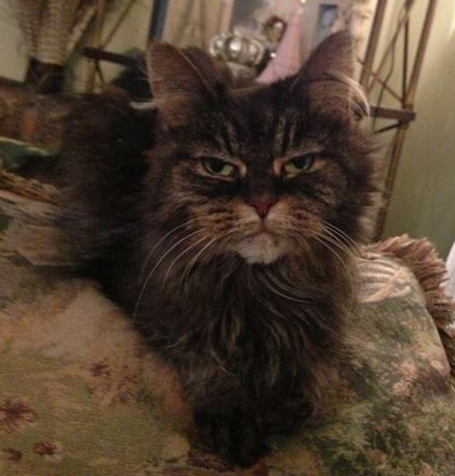 If you see her, please call Maria Focuca at 613-322-7750.